It's to be expected that our shopping habits will change as life goes on. Our careers, relationships, finances and location all have an effect on what we're buying, but I couldn't help but notice that the most significant change in what I wanted to buy occurred when I turned 30. Up until then, my shopping decisions were primarily influenced by what those around me were wearing, or simply for the sake of variety (i.e., buying a maxi dress just because I didn't own one, even though they're not really my thing). Post-30, I find myself shopping for the same types of things on repeat, because I've realised what I wear the most and what makes me the happiest to wear, so those are the things I want to stock my wardrobe with. Sure, the contents of my closet may be a bit lopsided (no maxi dresses but midi dresses abound! ), but at least I wear everything that's in there, which is infinitely more important to me than buying something just for the sake of checking it off a list. Want to know what I find myself impulse buying post-30? 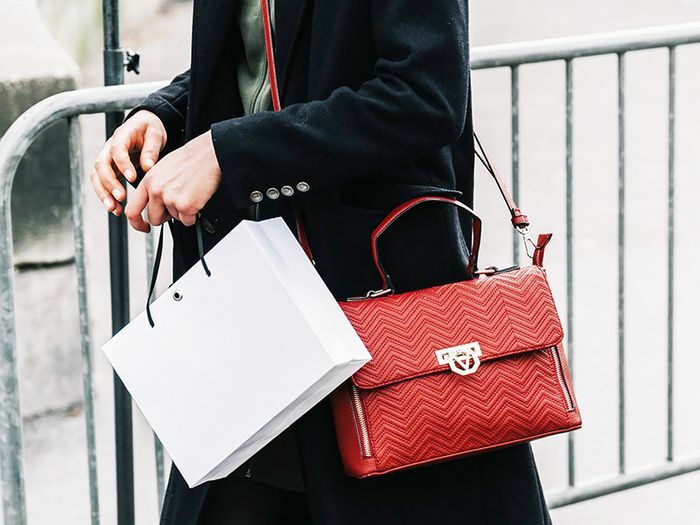 Keep scrolling to see (and shop) what I'm filling my wardrobe with, and rest assured that you're not alone if you're in the same shopping boat. 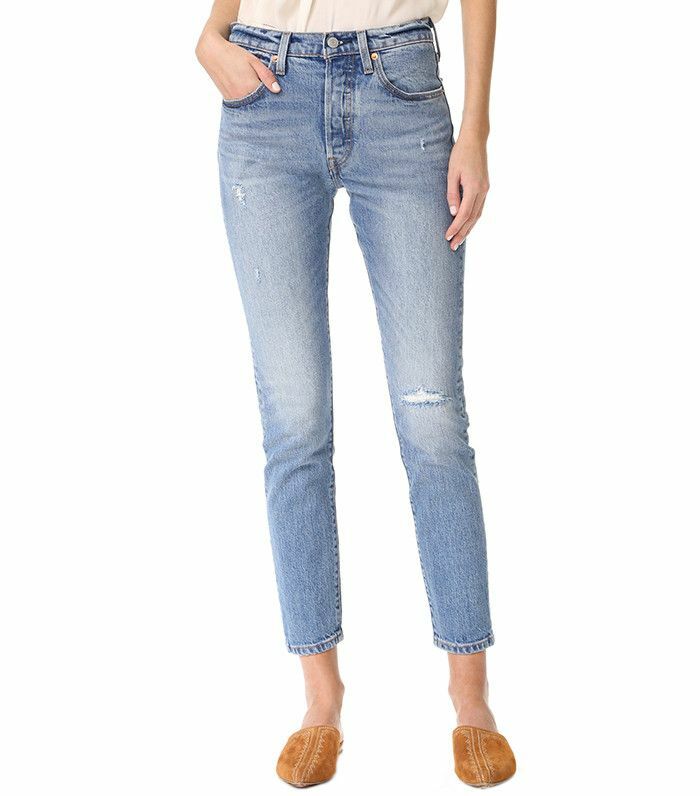 While I certainly don't discriminate when it comes to denim brands (there are too many good ones out there to do so), there's something about the classic look of a pair of Levi's that's captured my attention in recent years. I'm a big fan of Re/Done's reworked vintage Levi's, but the brand's new styles are also a frequent purchase. In my 20s, it was of utmost importance to me to fill my closet with heels that I could wear to go out. I'd wear them every once in a while, but for the most part, they'd sit in my wardrobe collecting dust. Since then, I've accepted that I spend the majority of my time in flats, so that's what I tend to spend the majority of my shoe budget on post-30 (although walkable block-heel shoes come in a close second). I used to balk at spending more than £30 on a T-shirt, but since I wear them so frequently, I've recently made a point to invest in higher-quality tees that fit (and feel) better. I'm a bit of an accessory fiend, and at the top of my list of must-haves is sunglasses. I've found that they're an easy way to give my look an of-the-moment update. Not only that, but they also protect my skin, which is something that's at top of mind for me post-30. Downsizing from the oversize bags I used to tote around was a challenge, but my outfits (and my back) are ultimately the better for it. My downsizing tip? Start by purchasing a smaller wallet. I've come to find that my outfits don't feel complete without a third layer these days. A lightweight jacket adds instant polish, and it serves as a much-needed extra layer under my coat on colder days. I spent much of my 20s avoiding high-waisted anything, but post-30, I realised that a high waist is the most flattering style, hands down. It also forces me to tuck in my shirts, which has changed my style for the better. When I entered my 30s, I no longer wanted to fill my jewelry box with costume jewelry. These days, while my jewellery purchases are few and far between (14k gold doesn't come cheap), I take pride in knowing that I'm investing in grown-up pieces that I'll wear for years to come. With my 30s has come an acute interest in maintaining my workout schedule, and I've found that the number one motivator for me is cute things to work out in. The old, faded leggings I used to wear no longer make the cut. In their place are sleek, neutral leggings, tanks, sneakers and sports bras. I've begun investing in more neutral pieces that aren't black, given its tendencies to age me. Versatile, expensive-looking camel has been my go-to since turning 30. Next up! The definitive guide to how to dress when you're in your 30s.